Here at Root & Restore, we make no secret about our love for people. We love the people who we’ve met along this journey and we believe strangers are friends we just haven’t met yet. Simple, right? Well, today I’d love to introduce you to some of my friends- some of the pioneers in participating in Root & Restore. Some of these ladies joined the program when it was printed out section by section on a Word document. The beauty of this program is that even then, before it was beautifully designed, the content of Root & Restore has had an effect on their businesses, their perspectives and in some ways, their lives. We don’t take it lightly when we are invited to join you in your business journey. We are honored to be a small part of your story. First, Catrina is the most encouraging person I have ever met - and I don't say that lightly. She is constantly lifting others up and that really shines through in the content she created for Root & Restore. One of my biggest takeaways from the program is to stay far far away from comparison, especially via social media, as we are worth so much more than those silly numbers. Root & Restore also opened my eyes to some of my personality traits (both positive and negative) as a business owner and the program helped me to adjust my mindset accordingly. Mental health is so important in general - but as a business owner, I feel it should be one of our top priorities. Root & Restore definitely helped me to move it up my priority list and to feel more whole as not just a business owner, but also a person. Root & Restore was such a great experience for me. Owning your own business and working from home can be a very isolating experience. Add social media on to that and the comparison game and your confidence can begin to slowly melt away. When I joined the Root & Restore group I wasn’t sure what to expect. I slowly realized I wasn’t the only person experiencing the same emotions as myself and began to find common ground with the ladies. Hearing and sharing our struggles was so therapeutic for me. I loved working through our issues together and not only listening to each other but also helping each other grow and tackle those emotions head on. I definitely recommend Root & Restore: it is a wonderful program! The Root & Restore program brings you back to your why and helps you deal with the emotional side of business. My favorite thing from the program is that I learned to deal with my negative thoughts in a positive way. I’m in a much better mental place now thanks to Root & Restore. Root & Restore has been invaluable for my business as well as for me, personally. 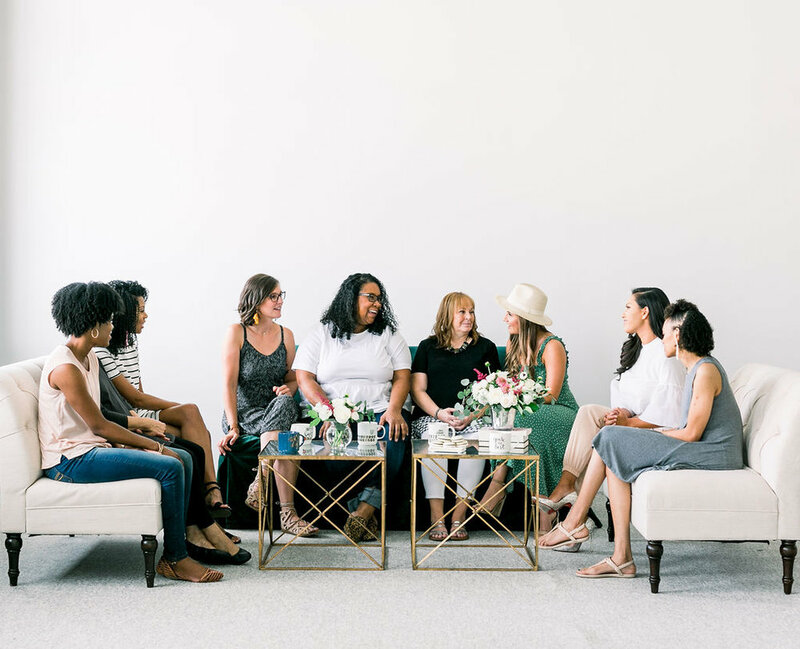 Catrina has combined her expertise with her incredible gift for relationship to create a curriculum that you can come back to time and time again, but I was also pleasantly surprised by how much I have grown to love the women that I did the retreat with. We have become an incredible support system for one another and I am forever grateful! We want Root & Restore to be a part of your story. We can’t wait to meet you! Newer PostYou've Got Questions... We've Got Answers!